Whitchurch District Thinking Day event. Whitchurch held a District Thinking Day event on Sunday 5th March in the Whitchurch Market Hall. The theme was a celebration of the 50th birthday of one of the WAGGGS World Centres at Sangam, India. The event was attended by nearly 100 Rainbows, Brownies, Guides, Rangers, Leaders and helpers from Whitchurch and Prees. Activities included Bollywood-style dancing, tasting Indian foods and mocktails, henna designs, making elephants and lotus flowers. 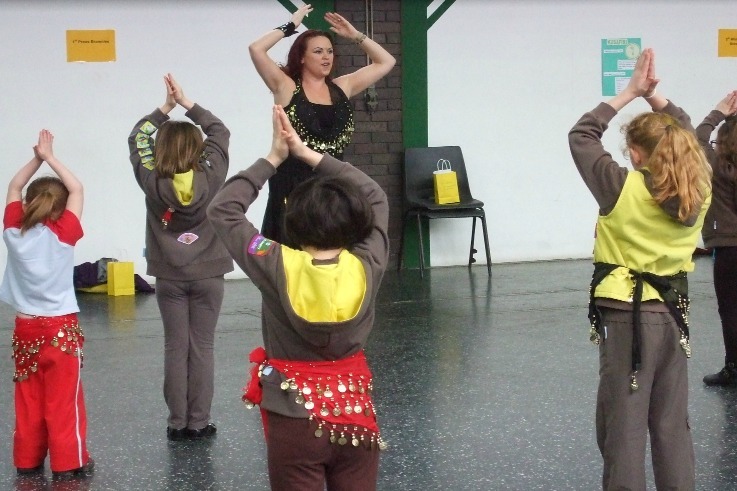 District Commissioner, Rebecca Harding, visited Sangam in January and gave a short talk about her trip and all learnt the Indian greeting “Nam aste”.